Happy Christmas. Y’know I am actually glad I have this huge blogging task to keep me busy throughout most of December. Otherwise, between work and all of the family get togethers I would really struggle to find time or inspiration for anything to write about. Having some good video games to talk about is something I always enjoy, even if it isn’t the content that gets me the most views. But hey, do I seem like the kind of guy who has the charisma to be a Twitch streamer? The number six spot goes to a game in a genre that I, otherwise, have little to no interest in. I am pretty open minded when it comes to video games, but certain genres, sport games for example, always feel like games that get old fairly quickly. This game is one that manages to break away from the dogged annual release schedule and seems fresh despite getting one, or an approximation of it, released every year. Forza Horizon 3 was something of a revelation for me. I had fallen off the racing genre pretty hard after the era of the original PlayStation. As racing games became less arcadey and focused more of their time into being driving simulators, I lost interest. I have never been much of a car guy. I like cars just fine, but more as a vehicle (no pun intended) for other stories to be told. I enjoyed Top Gear for the personalities and shenanigans, the same with the Fast & Furious film series. The cars themselves felt like a vector for enjoyment rather than the the source of the enjoyment itself. And enjoyment is the key word here, because that’s exactly what the Forza Horizon series prioritises. A game about a bunch of immortal millennials, all driving around in their indestructible cars, destroying the countryside and people’s property, buying up every landmark from the local government so they can fully assimilate the area before moving onto somewhere else. It’s never been a game to take too seriously. It’s about the joy of freedom, which is what cars are to a lot of people. It’s ingrained in the American culture. 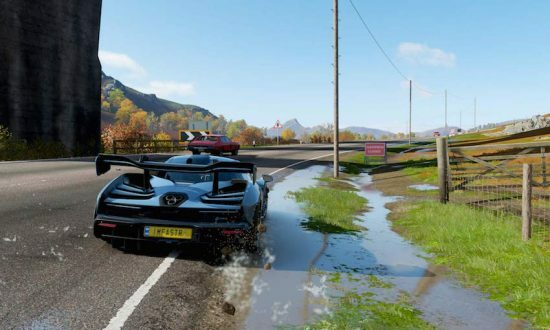 The pandemic metaphor that is the Horizon festival makes its way to Scotland and England this time, and introduces seasons into the game. Not since Pokemon Black & White has a seasons cycles worked so well. 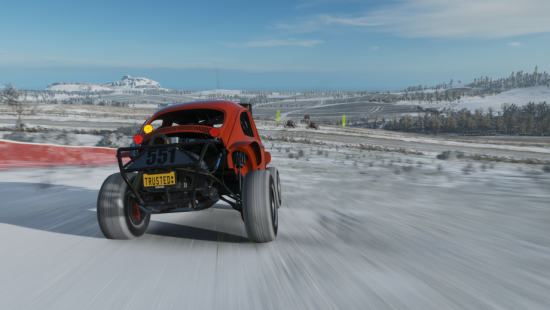 The world changes drastically from week to week and the living game aspect of Horizon 4 works all the better for it. Truth be told, I actually like Horizon 3 slightly more than this game, but playing this on the my newly purchased Xbox One X is a truly eye opening experience. This game looks amazing. It recreates a Britain I cannot believe exists, but want to spend all of my time driving around it like an utterly manic millionaire. We kind of need more driving games that lean into the fun of driving without the repercussions that come with driving like an utter bellend, like the police. 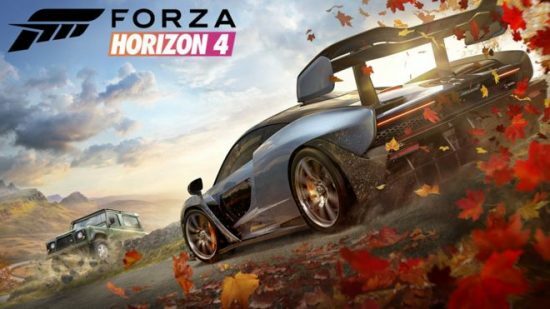 Forza Horizon 4 is pure fun, distilled into a stunningly beautiful video game and handed to us through our game pass. It’s the one driving game I enjoy playing, and a lot of other developers need to get on trying to emulate this. Frankly, I’m stunned we haven’t has a decent copycat yet already. 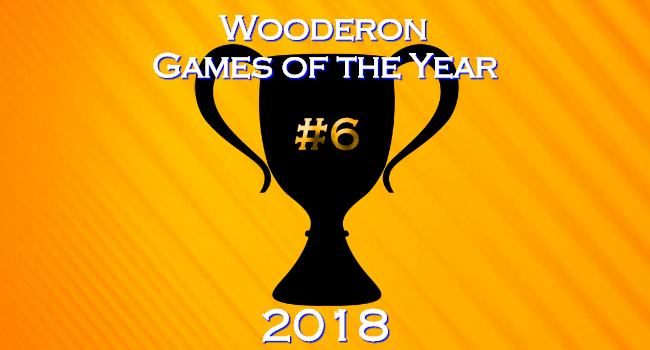 Posted on December 25, 2018 December 18, 2018 by WooderonPosted in 2018, Best of Year:Tagged driving, forza, forza horizon 4, game of the year, game pass, goty, microsoft, playground games, xbox one.